The main objective of this paper is to provide an efficient and accurate finite element model to understand the behavior of cold-formed steel channel columns. The effects of initial local and overall geometric imperfections have been taken into consideration in the analysis. Failure loads and buckling modes as well as load-shortening curves of plain channel columns were investigated in this study. The nonlinear finite element model was verified against experimental results. The finite element analysis was performed on plain channels compressed between pinned ends over different column lengths, and column curves were obtained. An extensive parametric study was carried out using the finite element model to study the load eccentricity on the strength and behavior of channel columns. The column strengths predicted from the finite element model were compared with the design strengths calculated using the European Code, EN 1993-1-3 Eurocode 3: Design of steel structures - Part 1-3: General rules - Supplementary rules for cold-formed members and sheeting, for cold-formed steel structures.
.	ABAQUS Standard User’s Manual. (2013). Hibbit. Karlsson and Sorensen. Inc.. Vols. 1. 2 and 3. Version 6.13.
.	Young, B., & Rasmussen, K. J. (1998). Tests of fixed-ended plain channel columns. Journal of Structural Engineering, 124(2), 131-139.
.	Australian Standard. (1993). Steel Sheet and Strip—Hot-dipped Zinc-coated or Aluminium/Zinc-coated. AS 1397. Standards Association of Australia. Sydney. Australia.
.	Australian Standard. (1991). Methods for Tensile Testing of Metals. AS 1391. Standards Association of Australia. Sydney. Australia.
.	Young, B., & Rasmussen, K. J. R. (1995a). Compression Tests of Fixed-Ended and Pin Ended Cold-Formed Lipped Channels. Research Report-University of Sydney School of Civil and Mining Engineering R.
.	Young, B., & Rasmussen, K. J. R. (1995b). Compression tests of fixed-ended and pin-ended cold-formed plain channels. Research Report-University of Sydney School of Civil and Mining Engineering R.
.	Young, B., & Rasmussen, K. J. (1999). Behaviour of cold-formed singly symmetric columns. Thin-walled structures, 33(2), 83-102.
.	Nandula. R. (1998). Finite Element Analysis of Eccentrically Loaded Angles. M.S. Thesis. University of Windsor. Windsor. Ontario. Canada.
.	Young, B., & Yan, J. (2002). Finite element analysis and design of fixed-ended plain channel columns. Finite elements in analysis and design, 38(6), 549-566. ISNAD DURMAZ, Mustafa . "Nonlinear Buckling Analysis of Cold-Formed Channel Sections". 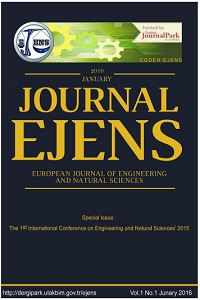 European Journal of Engineering and Natural Sciences 2 / 1 (February 2017): 95-101.